Everyone welcome! All ages and experience levels are encouraged to attend. 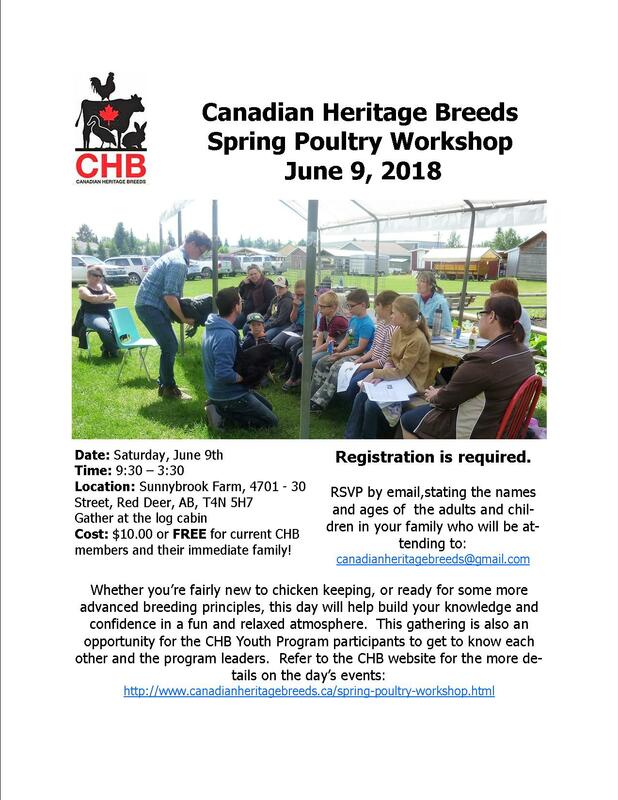 CHB is pleased to announce their second annual Spring Poultry Workshop! It will once again take place at the historical Sunnybrook Farm in Red Deer. There is no cost for CHB members, and interested participants of any age or experience level are welcome! Cost: FREE for current CHB members and their immediate family! $10.00 fee for non-members. Some snacks are provided, but you’ll need to supply your own lunch. Topics: This is a beginner to intermediate level workshop. 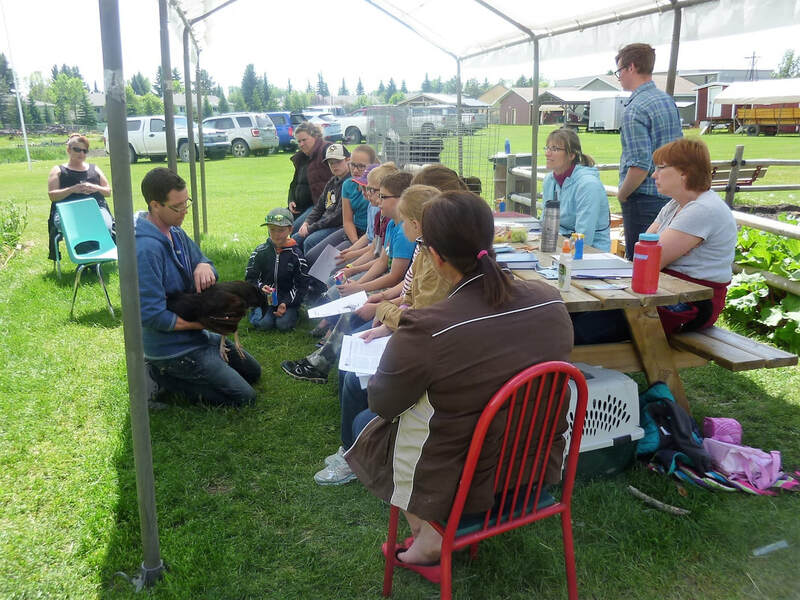 Whether you’re just new to chicken keeping, or looking to expand into breeding or showing, this day will help build your knowledge and confidence in a fun and relaxed atmosphere. This gathering is also an opportunity for the CHB Youth Program participants to get to know each other and the program leaders. Refer to the itinerary for more details on the day’s events. Lunch is not provided. You’re welcome to brown-bag it or leave the grounds to buy lunch. There is no on-site concession available. Spring Poultry Workshop poster - please feel free to share!